This is my third post as a part of the introductory series on Gemstones. The first two posts were about Pearl and Red Coral. This post is about Emerald. Emerald is not an organic stone like Pearl and Coral. It is mined from the core of the earth. Emerald is ruled by Mercury. 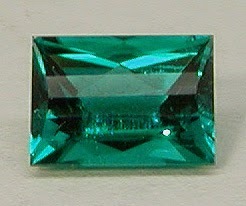 The mineral category, to which Emerald belongs to, is Beryl. The more transparent the stone is, the better it is. But more transparent stones are rare to find and very expensive too. It gets its color from Chromium. If Chromium is not present only Vanadium is present then its not Emerald but green Beryl which looks exactly like Emerald but very cheaper than Emerald. Most of the Emeralds have inclusions in them if you see a completely transparent and clear Emerald, you should be suspicious about its originality. Origin: Most of the emerald production in the world happens in Columbia. Siberia, Brazil and Zambia also contribute decent figures in emerald mining. Natural Vs Synthetic Emeralds: Natural Emeralds are mined but Synthetic Emerald are produced in lab. Synthetic Emeralds look almost the same as a natural Emerald. Synthetic Emerald's many optical properties also match closely with that of natural emerald. 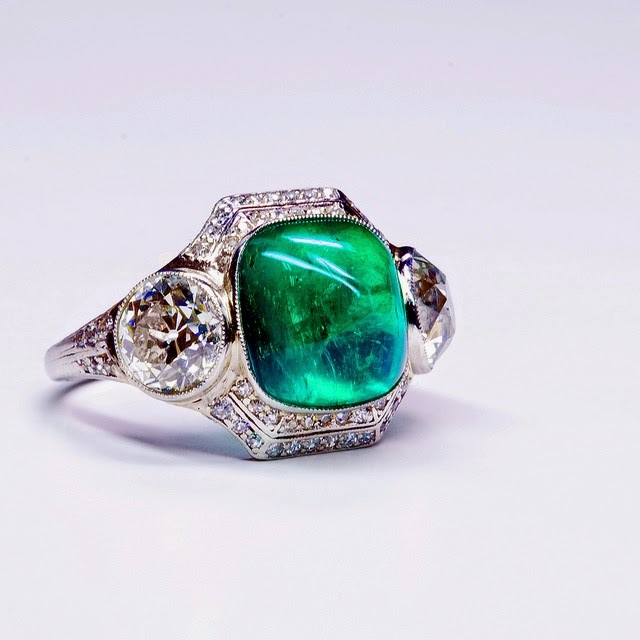 So it needs a lot of expertise to distinguish a synthetic emerald from a natural one. How to Identify a Genuine Emerald: As is true with other stones, Emerald imitations are also available in the market. To identify a genuine Emerald, its physical and optical properties like specific gravity, Moh's hardness, Refractive Index etc. are measured and compared against the properties of a genuine Emerald and a conclusion is drawn if it is a natural or a synthetic Emerald. 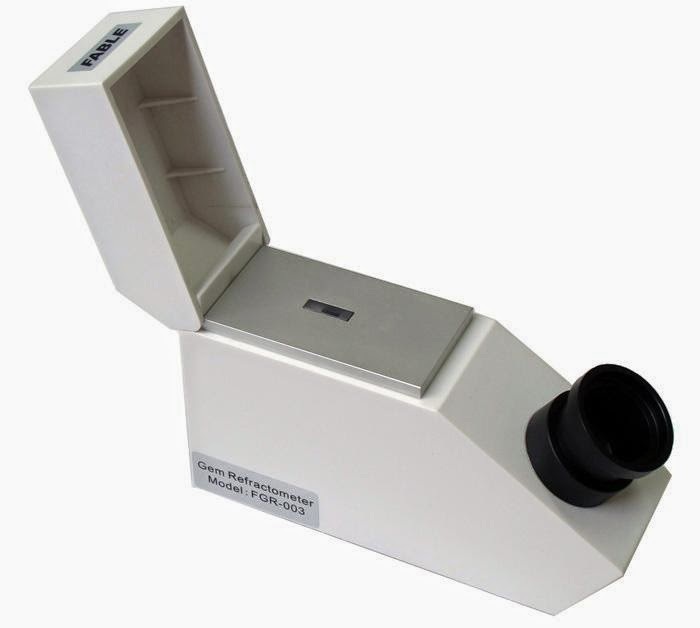 All these parameters can be determined from tools like Refractometer (used to measure birefringence and refractive index), Polariscope, spectrometer etc. For example, when seen under Spectroscope, the violet range in the spectrum is seen as dark area because violet color of spectrum is absorbed by Emerald. If the stone does show the violet color in the spectrum under Spectrometer then you have all the reasons in the world to be suspicious of the stone. 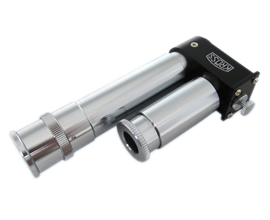 Similarly the other tools divulge more details about the stone and help in determining the originality of stone. When you go to a gemstone dealer to buy a gemstone, most of the time they say that the stone is natural and genuine, never believe them and get the stone tested from a reliable source or lab. 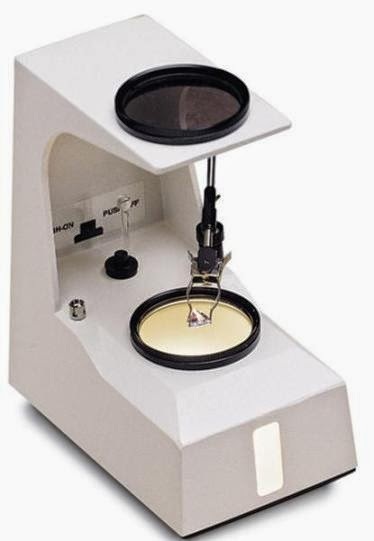 The worrying factor is that now a days some gem labs have nexus with some corrupt jewelers and the labs give genuine certificates for fake stones to the jewelers. And then these jewelers sell fake "certified gems" for high price to you. 1) Crack or Surface Cavity fillings: Many Emeralds generate cracks or cavities in them during the mining process. To hide these cracks and cavities, emeralds are filled with a hardener substance. 2) Impregnation with Oil: This is another type of treatment in which oil, wax, resin etc. are filled in cracks or cavities to improve appearance of Emerald and to hide the cracks and cavities. 3) Dyeing: Emeralds are dyed with dye or colored oil to improve their appearance and color and to hide any defect. The buyers should be careful to identify these treatments. 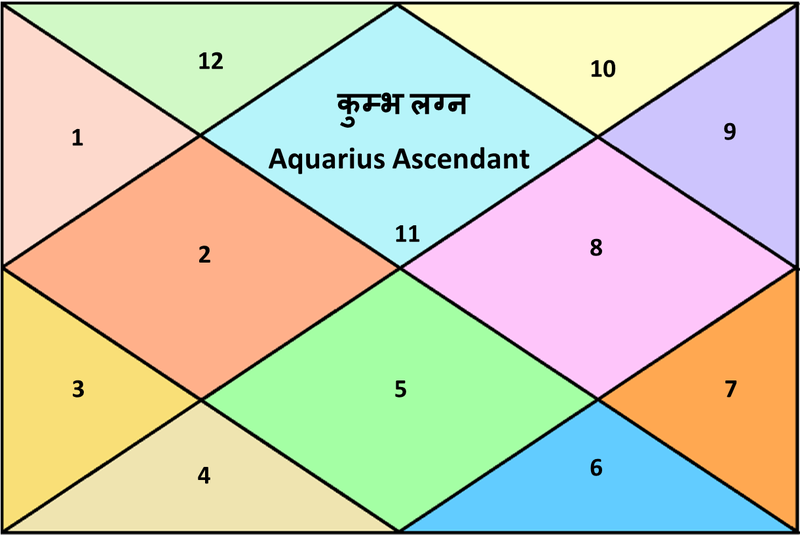 Astrologically such treated stones are not considered suitable. 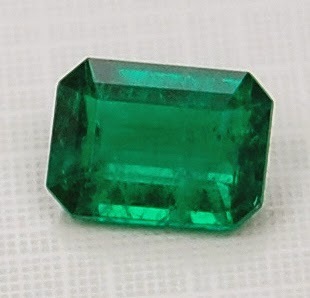 The Emeralds, which are dyed, show their dyed material under long wave and short wave ultra violet light in a different color. Who Should Wear it: Those who have Taurus, Gemini, Virgo, Libra, Capricorn and Aquarius in their Lagna (First House) can wear Emerald. 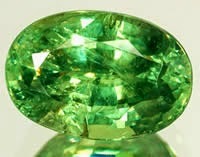 General Benefits: Emerald is Mercury's stone. Mercury rules over nervous system, memory, concentration, analytical mind, phobias etc. Emerald also benefits in curing black magic, blood disorders, stones, frequent urination, eye diseases, asthma, kidney related diseases, jaundice, mental retardation etc. But be warned, stones should not be worn without the suggestion of an expert astrologer. If the stone is inappropriate as per your horoscope then it may harm you, if worn. Contradictory Stones as per Vedic Astrology: Pearl and Red Coral should not be worn along with Emerald. Substitute Stones: Aquamarine and Green Tourmaline. 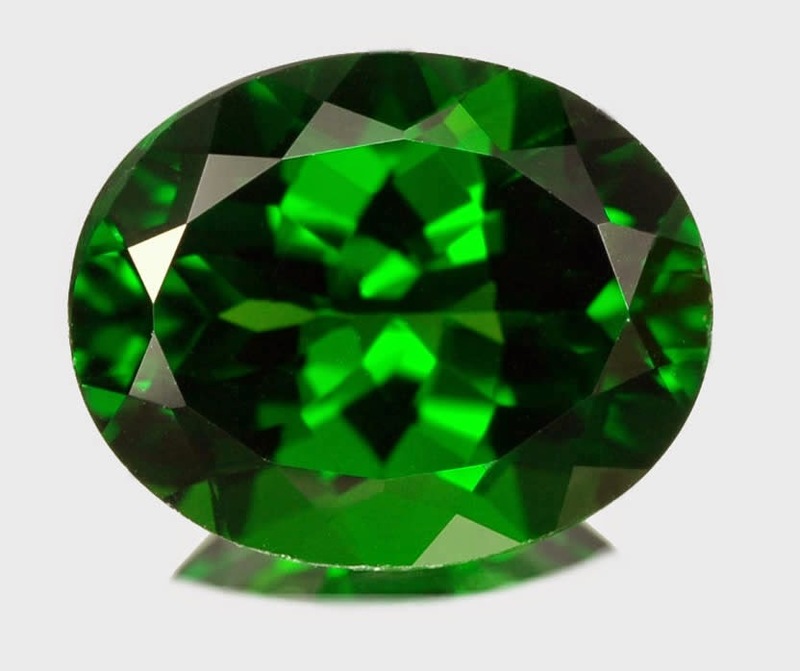 Cheaper Lookalike Stones: There are some cheaper stones available which are not Emerald but look quite similar to Emerald. Sometimes sellers fool buyers by selling these cheaper stones as Emerald. Synthetic Emerald, Chrome Diopside, Demantoid etc. are some of the stones which look similar to Emerald. Do's and Dont's: 1) Emerald gives maximum benefit when worn with Mercury Yantra. 2) Emerald gives complete benefit only when it is worn after energizing. 3) After wearing Emerald, it should not be removed even for a minute. Emerald absorbs the rays of the sun and keeps on conserving the energy from the rays within your body. If Emerald is removed even for a minute, the conserved energy gets immediately lost. If for some reason it needs to be removed, a new auspicious muhurta needs to be found and Emerald needs to be charged again with mantras and then worn. 4) Emerald should be avoided to come in contact with harmful chemicals. 5) Wear only natural Emerald. Synthetic Emeralds do not have any benefit. 6) An Emerald which has crack or black dots in it, should not be worn. It may give negative and depressing thoughts to the wearer. Reciting Mercury's mantra and wearing Mercury yantra will also give you good benefit. I read somewhere it has written on Google that after 3 years Emerald become in active, same in case of diamonds in active in 5 or 7 years. It is like a cell which after continuous use stops working one day. Everything has a life period. Once you told me to wear maximum 2 stones, Is this the same in case of yantras? Or I can have yantra of my own. 2 stones is not a hard and fast criteria in some cases I suggest 3 stones as well. Yantras do not have any limit like gemstones. Sir, Do yantras also have Contradictory yantras? Please write about hakik stone. I'm facing a really bad time ......... I think i need a Yantra....but problem is I dont't know Which one will be right for me...... My Date of Birth is 26th March , 1995 , Sunday , Time:- 6.10 P.M......Place:- Siliguri , West Bengal ..............Sir please help me and tell me which Yantra will be good for me so i can order a Yantra ...... Thank you..
Pranaama Prabhuji, I am Dr. Binit Kavi (PhD Mechanical) DOB 7/7/1980, TOB : 1.14 AM, POB : Kendrapara (Odisha). I wish to wear citrine, red coral, ruby and moonstone rings for success in getting govt job. Kindly advise. My daughter born on 3rd April 1995, Chandigarh. She was advised by some astrologer to wear coral-pearl mala for success in MBBS. She is wearing emerald in her little finger. So can she wear pearl-coral mala as they are not compatible with emerald. She should wear which stone which will give success in her education and relief from mental stress.